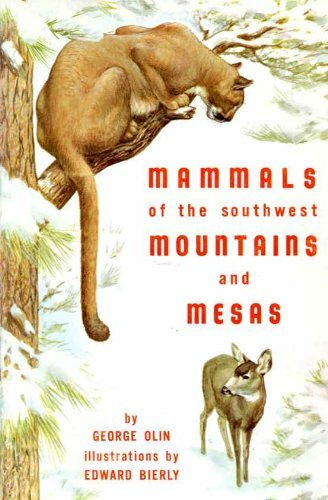 This book describes mammals of the Southwest (New Mexico, Arizona, Colorado and Utah) which live in the life zones above the low desert. There is brief discussion of mountains as wildlife reservoirs and desert 'islands'. The book is divided into hoofed animals, rodents, and carnivores. Includes finely executed black-and-white drawings and distribution maps.